The Arsenal academy is going to need to start churning out more stars like Hector Bellerin and Alex Iwobi if the team doesn’t plan on spending the necessary cash in the transfer window. Luckily, given the recent performance of their young stars, that doesn’t seem to be as big an ask as one would expect. As a result, one of the rising stars in their youth ranks is finally going to get his shot. According to the Telegraph, Arsenal are going to give 19-year-old American midfielder Gedion Zelalem extended time in the summer to see if he can fill in one of the spots being left by the exiting Mikel Arteta, Mathieu Flamini and Tomas Rosicky. 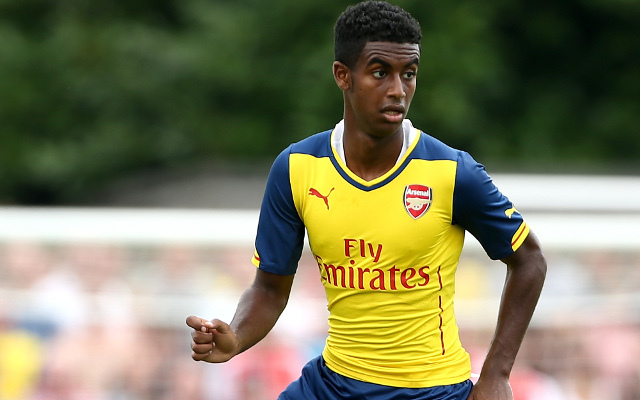 Zelalem has been on loan to Rangers this season and has made 18 appearances with the Scottish club. He made two appearances for Arsenal in 2014 and has been capped three times for the United States Under-23 side.